Fear is inevitable in every child’s life, because children do not understand cause and effect. In child logic, darkness can “eat” a room and children can get “sucked down” bathtub drains. But your child doesn’t have to face fears alone. Families face difficulties together, and every fear has an age-appropriate response. Don’t help your child avoid fears; help her cope with them. The entitlement-free child learns to ask for help and learns to find solutions to life’s difficulties. She’s not expected to handle adult situations in adult ways but can trust loving adults to find a child-size solution. 1. 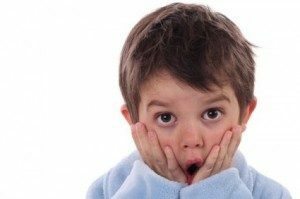 Try to understand your child’s fears according to child logic. 2. Give voice to your child’s fears. 3. Give your child both emotional support and a chance for problem solving. 4. Find a solution to help your child face the very real, tangible situation (rather than an ambiguous fear). 5. Do not rush your child.